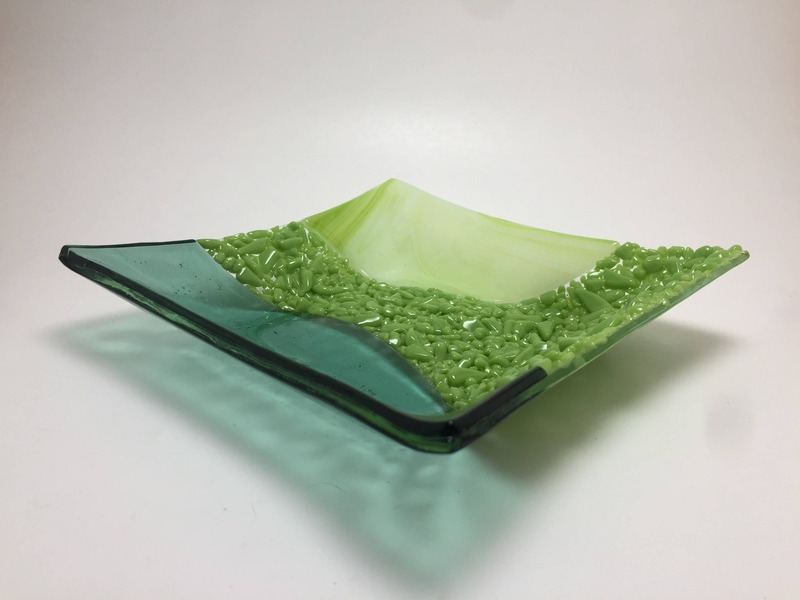 This handmade fused glass plate is adorable and makes the perfect dish to put your jewelry in, keys at the front door or as a Candy dish! 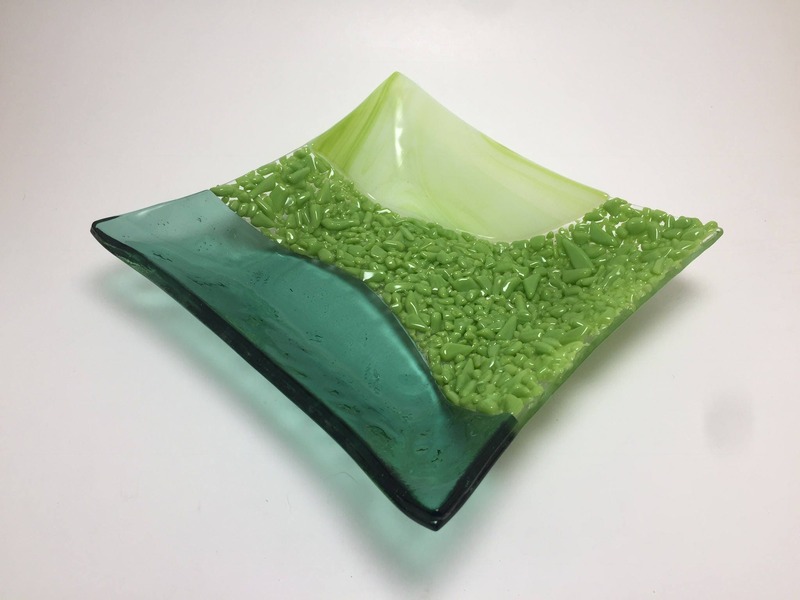 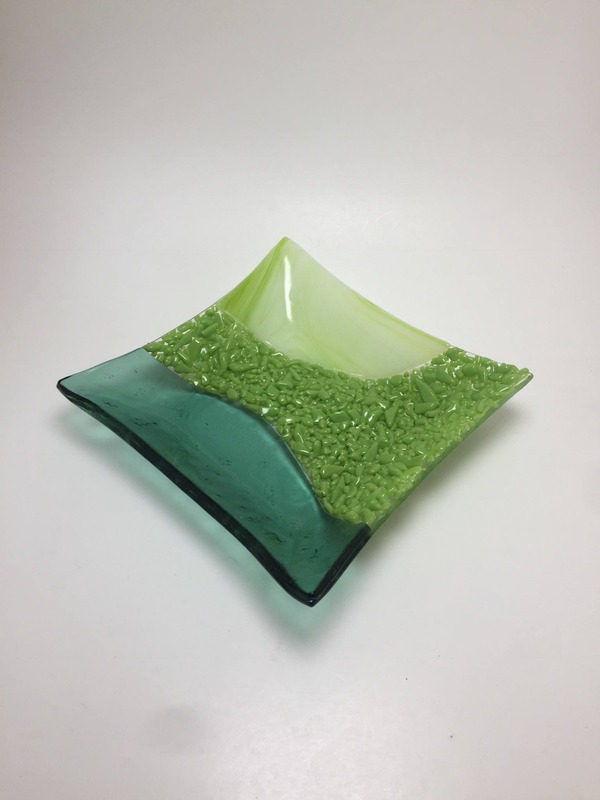 Color: an amazing white and green on one side with a river of textured green glass through the centre and transparent green on the other side. 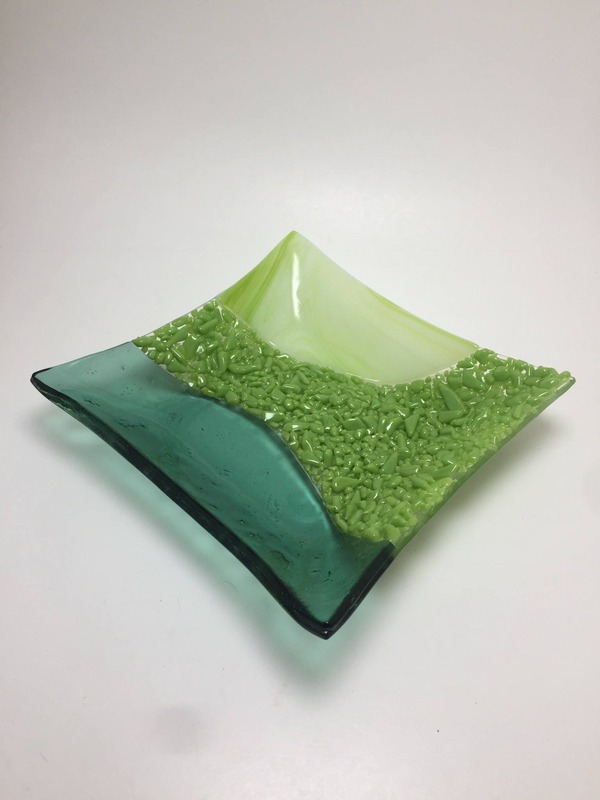 Do not use in the microwave, oven or stove top.